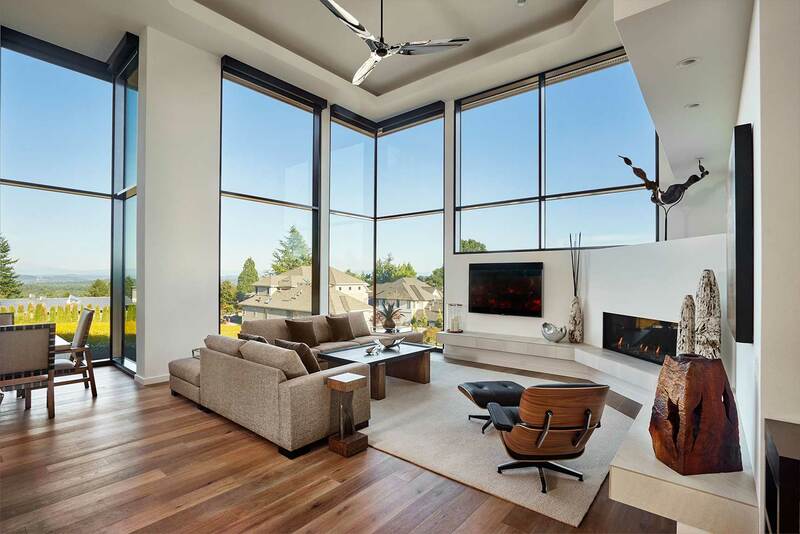 The European company Reynaers provided the oversized windows installed by Portland Millwork, which reach from the floor to the ceiling; this element allows for stunning views of Mount Hood and exceptional natural light. Soaring windows that reach from floor to ceiling are a key feature of our Street of Dreams home, Joie de Vivre. 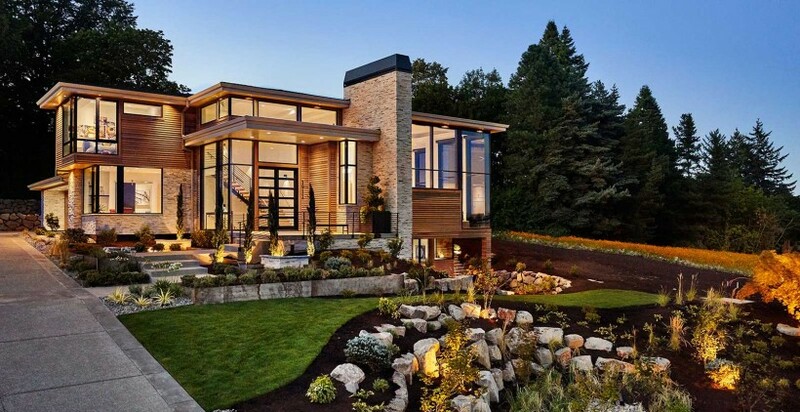 From the outside, the glass in place of walls gives the home a light, airy appeal. From the inside, these larger than life windows provide abundant natural light, outstanding views of Mount Hood and maximum energy efficiency thanks to the thermal break and new aluminum, which doesn’t transfer cold inside like old aluminum would. From a structural standpoint, Joie de Vivre’s windows are integrated into the home with strategically placed beams that enabled the windows to be bigger than most. Adding to that, custom tilt-turn windows open and tilt outward for good airflow during the day, but close securely for safety at night. The Street of Dreams itself is aptly named, as it allows builders and vendors to work together to create homes that you might have only dreamed up – until you see them in person. The windows in Joie de Vivre are a prime example of imagination and ingenuity combined, and we think you’ll need to see it with your own eyes to believe it. Visit our Street of Dreams home through August 30th to see what we mean!